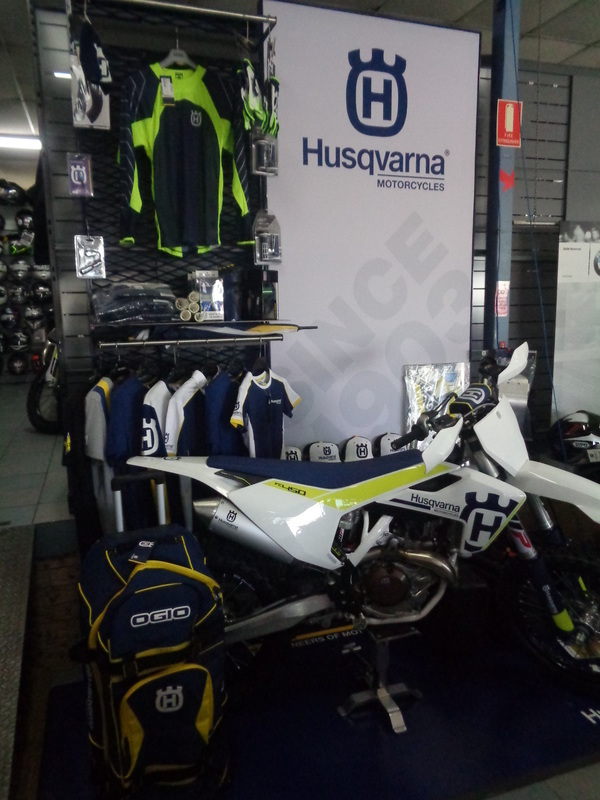 2018 Husqvarna TE250i now in store! The 2018 Husqvarna TE250i Fuel Injected 2 Stroke Enduro bikes have arrived in store. 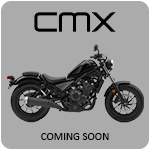 This long awaited model is going to raise the bar in off road bikes with lightweight 2 stroke power and agility, fuel injection, oil injection (no pre mixing of fuel) and a host of the best gear in the business. 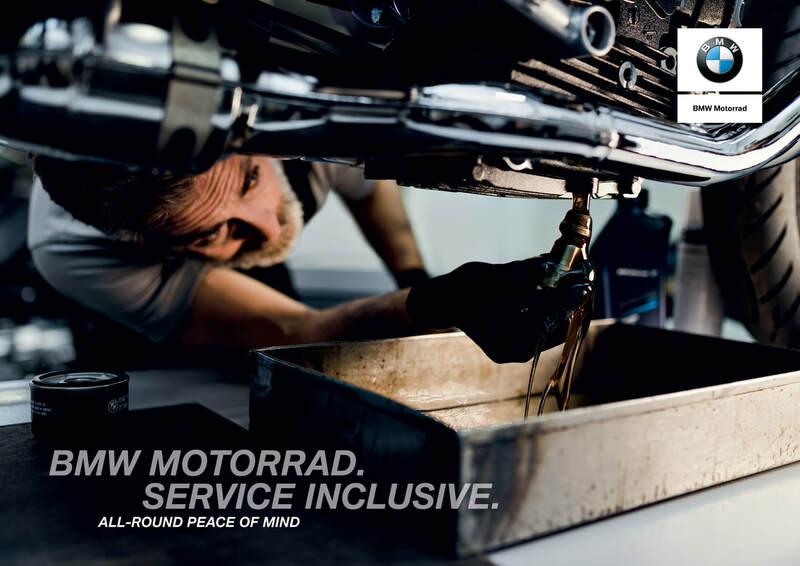 Call us now to get more information and see how easily affordable it can be on Husqvarna Finance. Click here for further details. Plenty of fun bikes in stock. 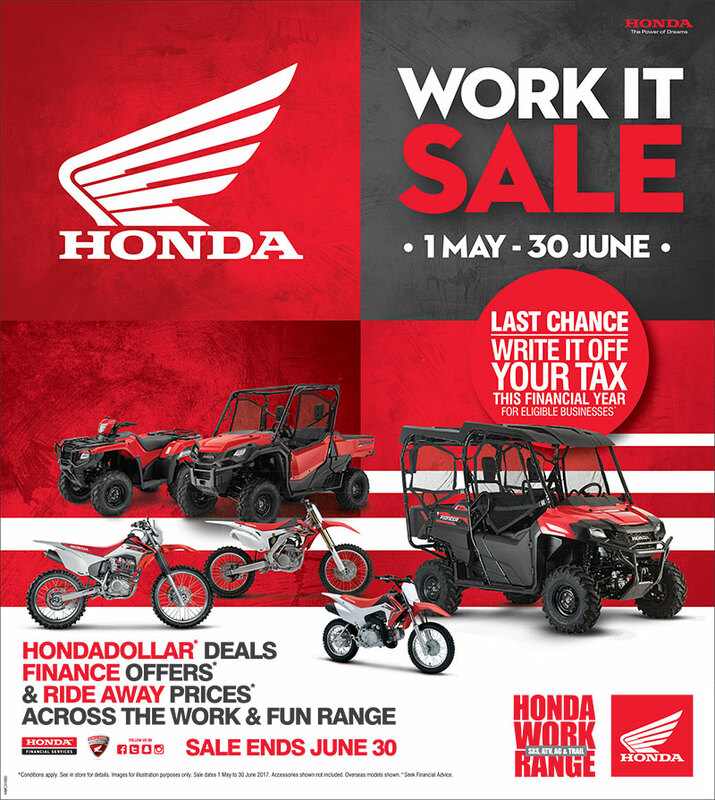 Honda's EOFY Work it Sale is on now. 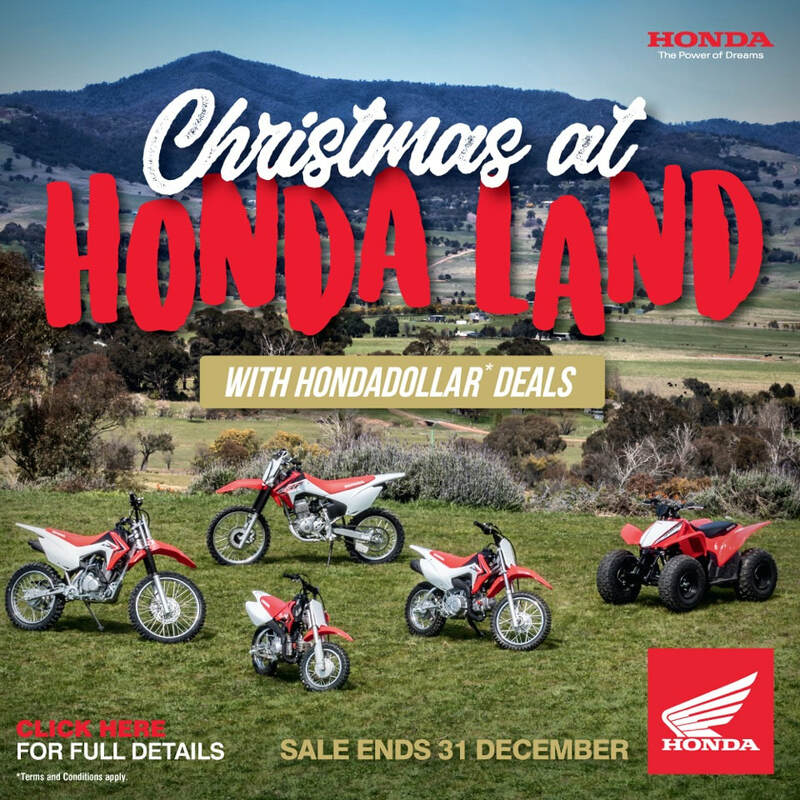 With some of the biggest Cash Backs ever on ATV, Side by Side, AG, MX and Fun range of bikes there's never been a better time to buy. Offers end strictly 30/6/2017 or while stocks last. Instant asset write off also makes it another great incentive. 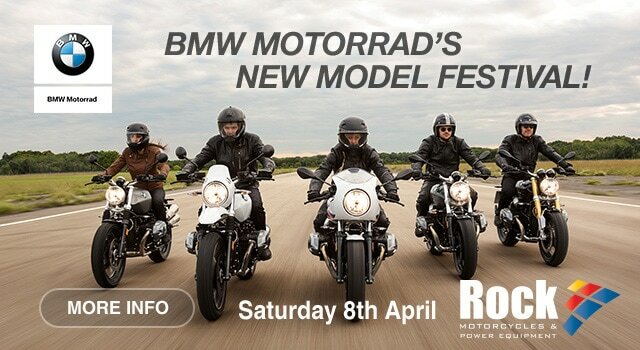 Rock Motorcycles will be hosting Port Macquarie's 2017 BMW NEW MODEL FESTIVAL on Saturday April 8th at our 175 Gordon Street location. 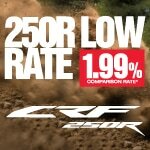 For a limited time only you can buy your new 2017 Honda CRF250R on a 1.99% finance offer. $69.00 per week over 3 years, terms and conditions apply and only to approved purchasers. Call now to get your application in and for full details. 0265836655. A fresh take on custom cool, the CMX500 mixes old- and new-school style and is engaging and fun to ride, with an outlook geared toward firing the imagination of a younger generation of riders. LAMS Approved. Trusted CBR500 engine derivative. Special introductory offer of $8,990 ride away, demo available end of April 2017. 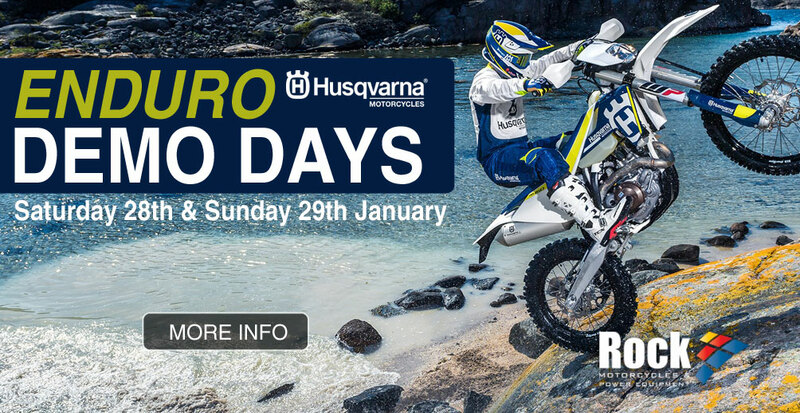 If you missed our DEMO DAY - Call into Rock Motorcycles and check out the exciting new 2017 Husqvarna Enduro range TODAY! Hats, bottles, shirts, gear, van stickers and many more.